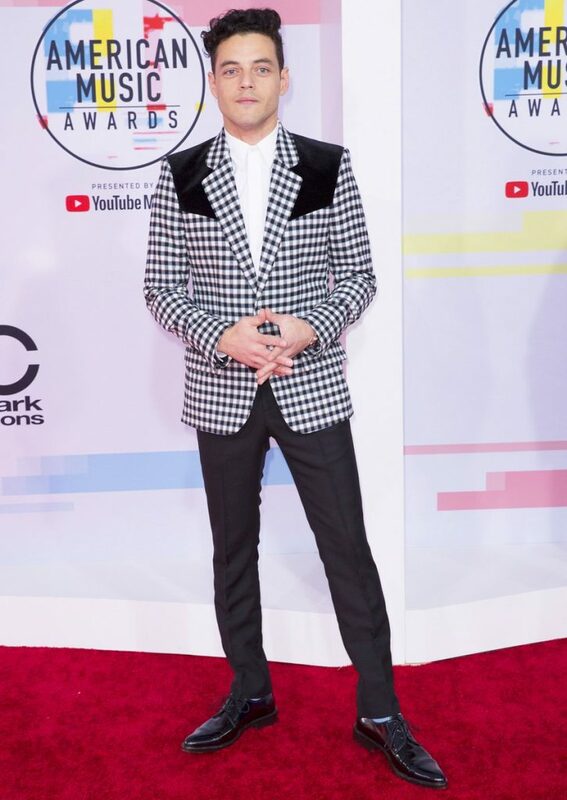 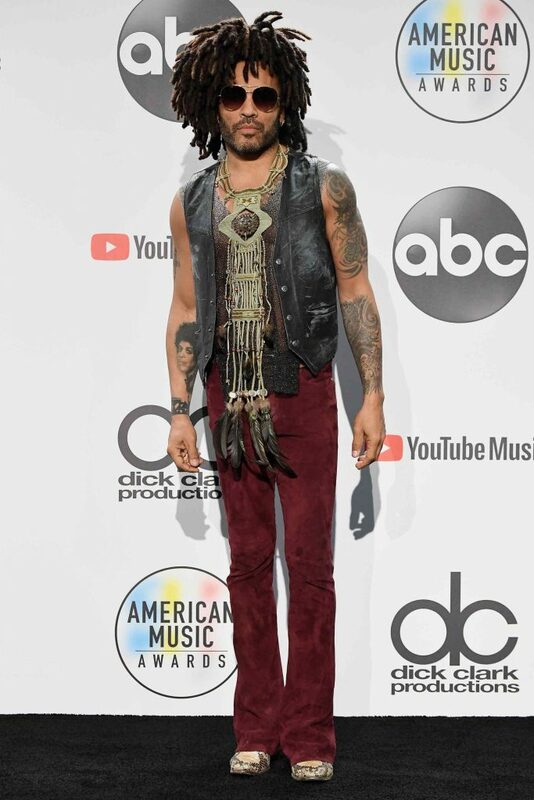 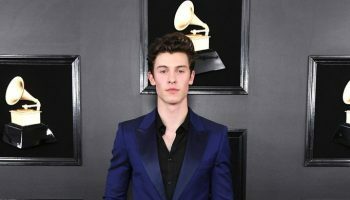 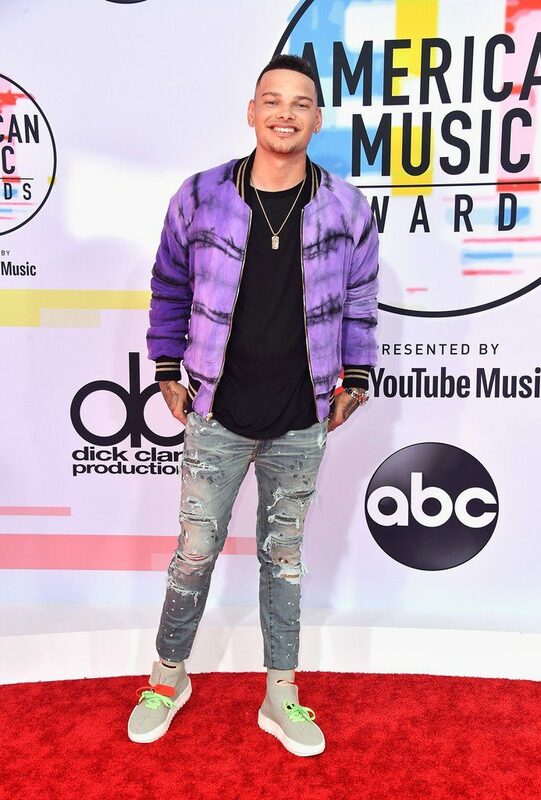 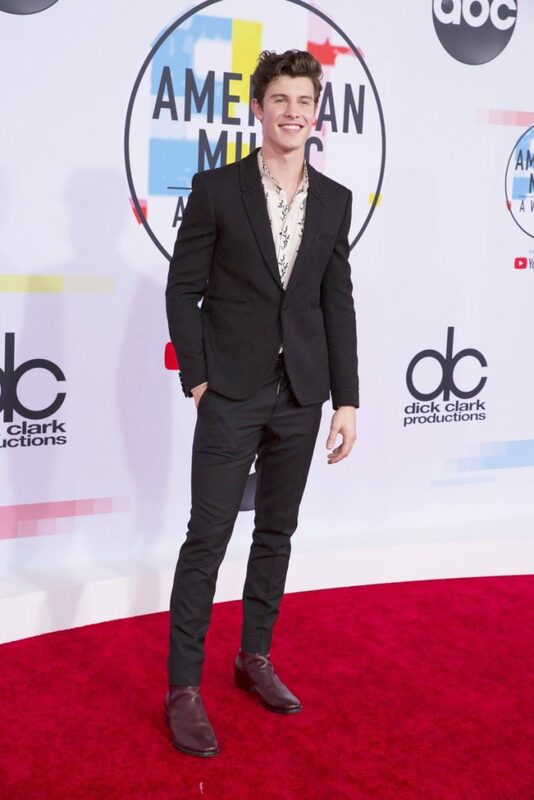 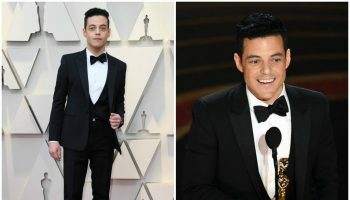 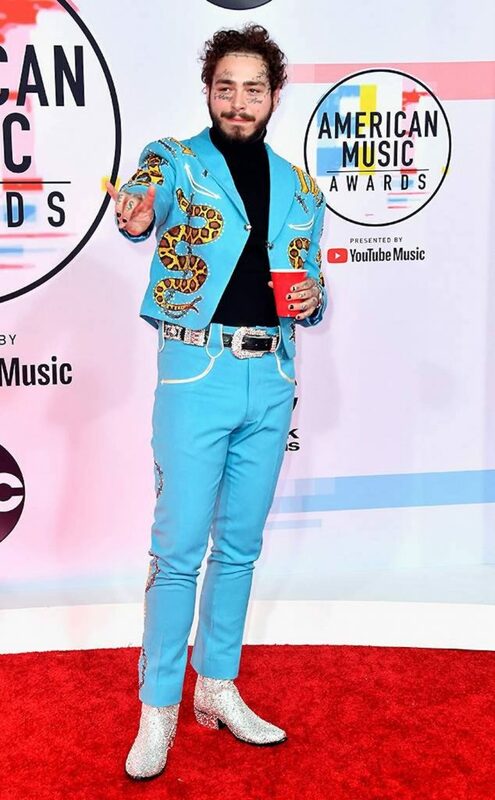 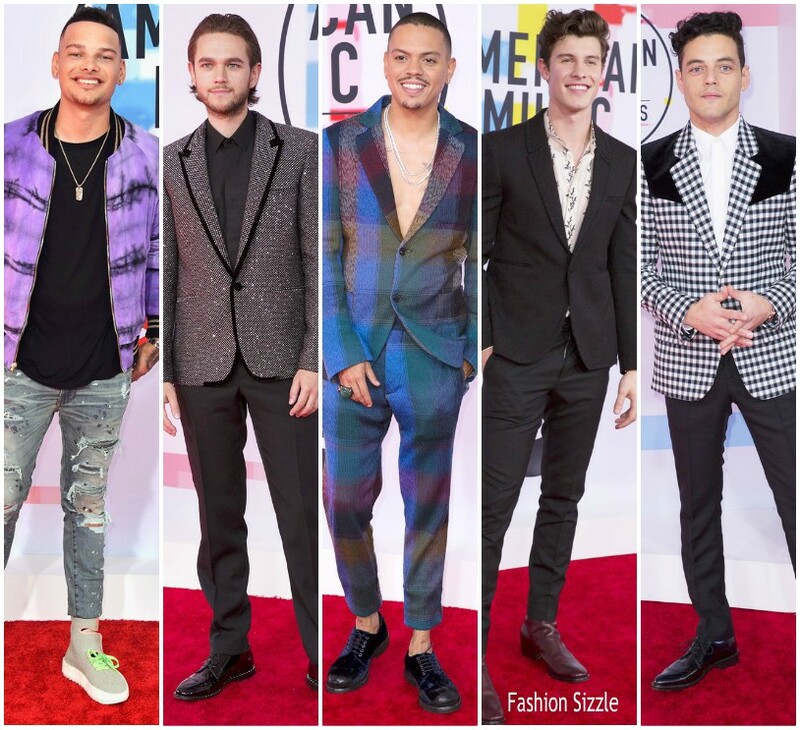 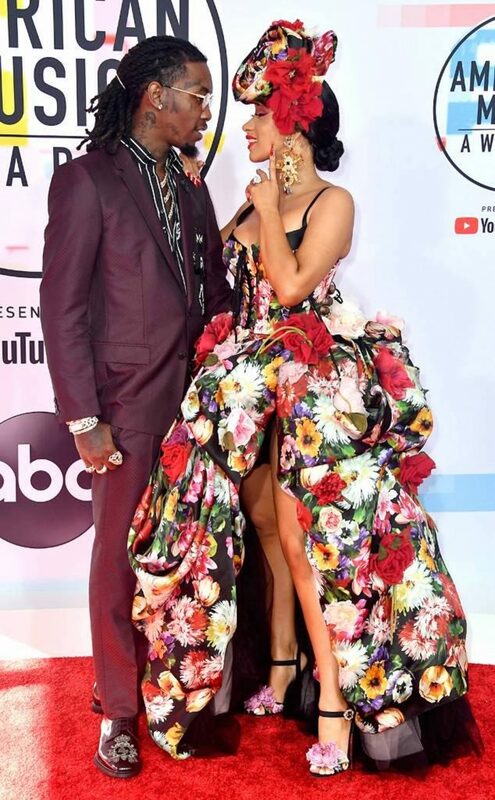 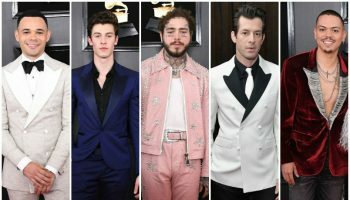 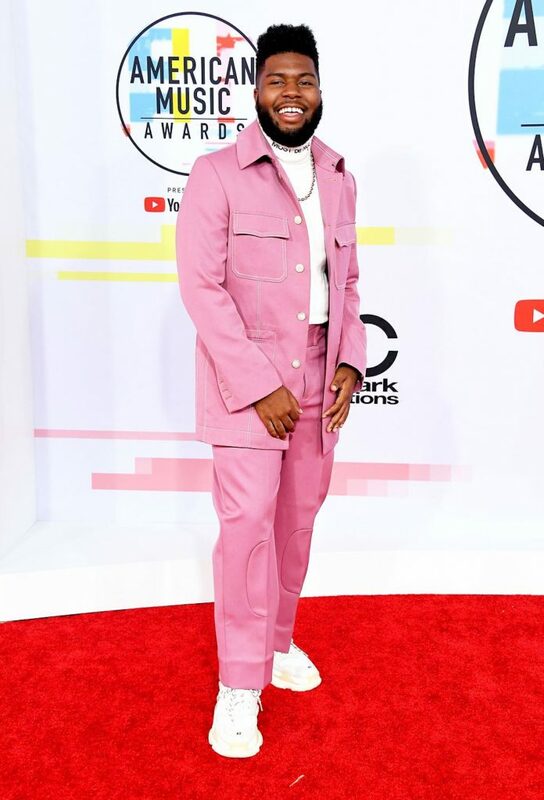 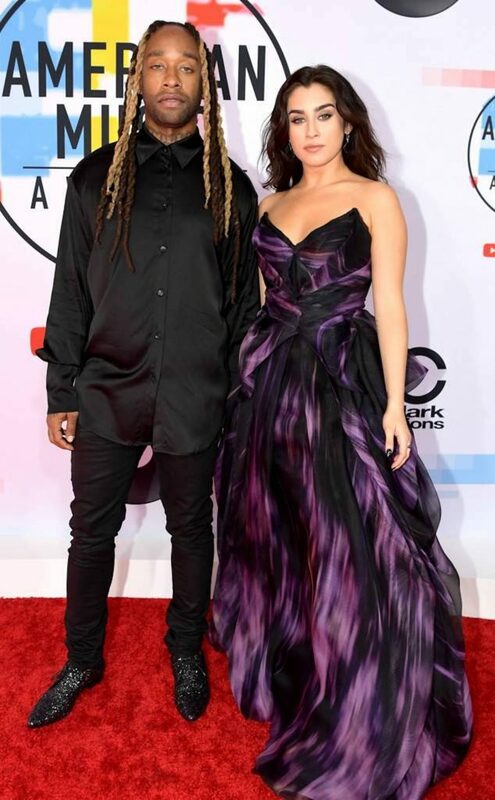 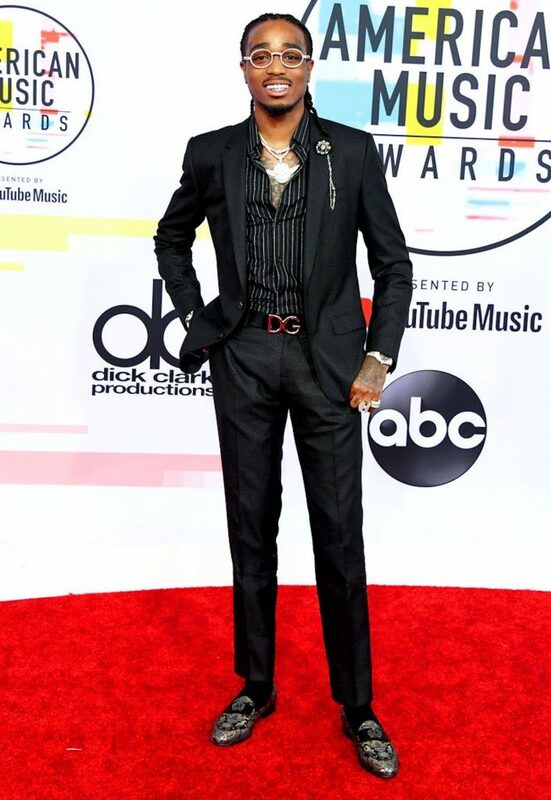 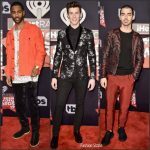 2018 American Music Awards Menswear Redcarpet in Los Angeles’ Microsoft Theatre last night. 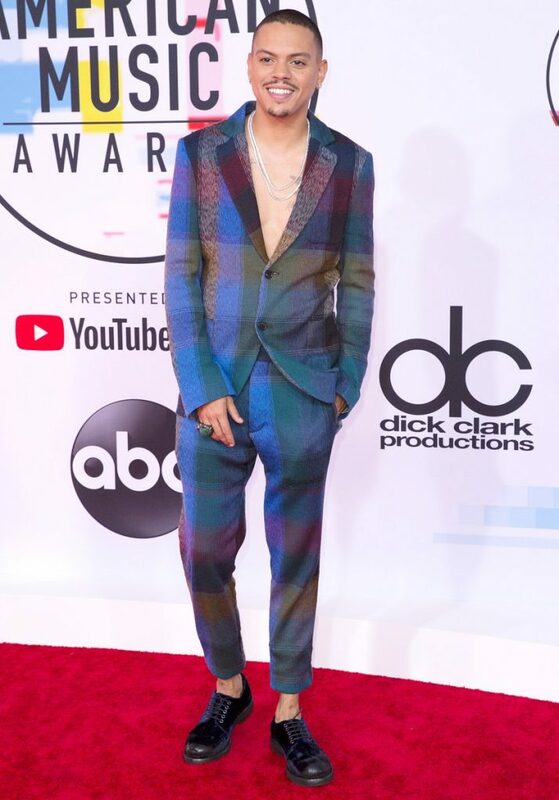 Evan Ross wore a Missoni multicolour-check wool suit. 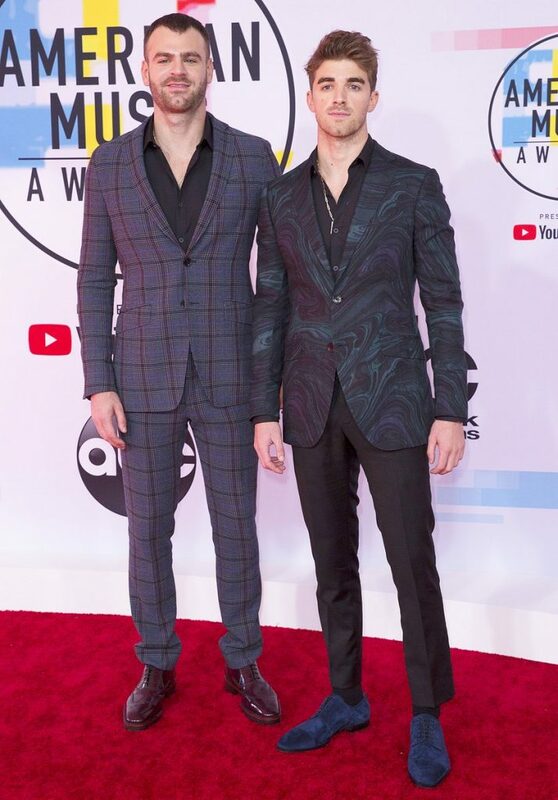 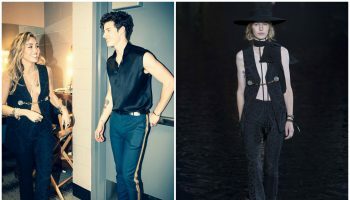 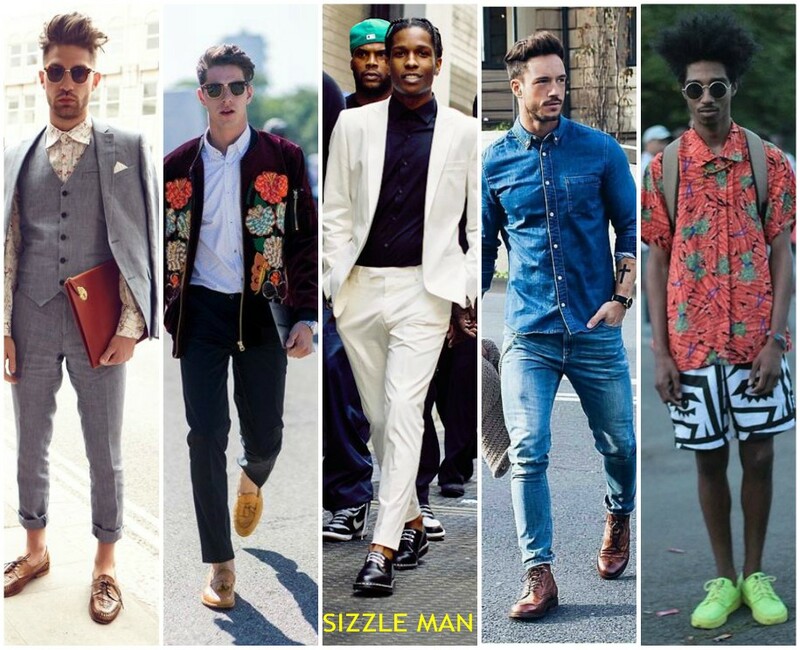 Alex Pall (in plaid) and Andrew Taggart (in marble) of The Chainsmokers both are wearing Etro. 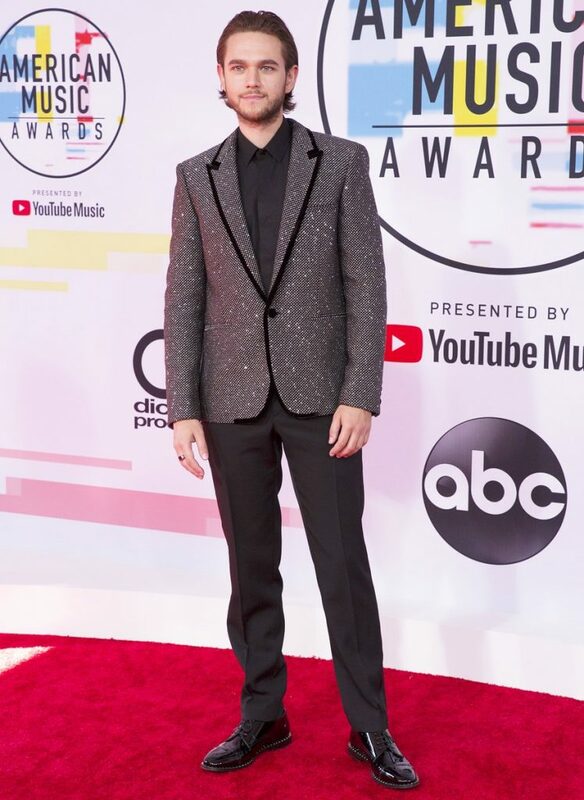 Zedd is wearing Saint Laurent — featuring a sparkling crystal dinner jacket.